Call Today For Special New Client Offers! Representative On Stand By 24 Hours A Day! 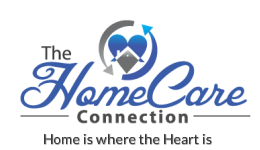 The HomeCare Connection, LLC is a local organization that assists individuals with a wide variety of affordable home care services. Aside from the security and convenience homecare gives to seniors and their families, the happiness obtained from this kind of service is truly priceless. Our agency strives to provide quality customer service tailored to your every need and want. We happily serve the entire Birmingham, AL Metropolitan Region. Under our Star program caregivers are carefully scrutinized and go through rigorous testing standards to ensure the highest quality professionals are delivering services to our clients. Each of our caregivers participates in an exclusive orientation program wherein they are instructed with essential care giving skills, particularly catered to give the utmost care for the elderly. To ensure family that their loved ones are well-taken care of, our firm takes pride of continuing the education of our staff which keeps us one of the leading homecare providers. Clients may rest assured that our caregivers are insured and bonded. We service the entire Birmingham Metropolitan Region.